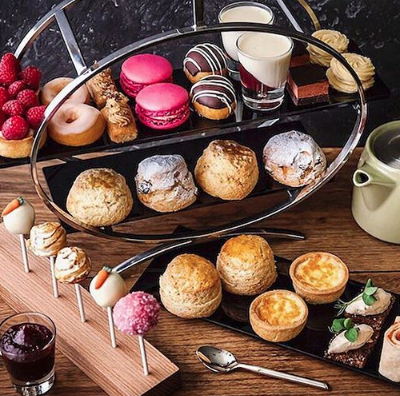 Just a few short miles away from Blackpool, the pretty town of Lytham and St. Annes offers visitors a wealth of delightful eateries for their delectation. Whenever visiting, I always try to sample somewhere different and on this occasion it was the turn of Stringers department store. Since my last visit to the store, their coffee shop has undergone a substantial refit and downscale - changes which I was initially very scpetical about. However, after visiting, I can confirm that these changes have not been of detriment to the overall ambiance of the cafe and that the food is just as nice as ever. My only criticism is that you now have to walk through the men's clothing department to access the cafe, which is a minus point off their previous design. 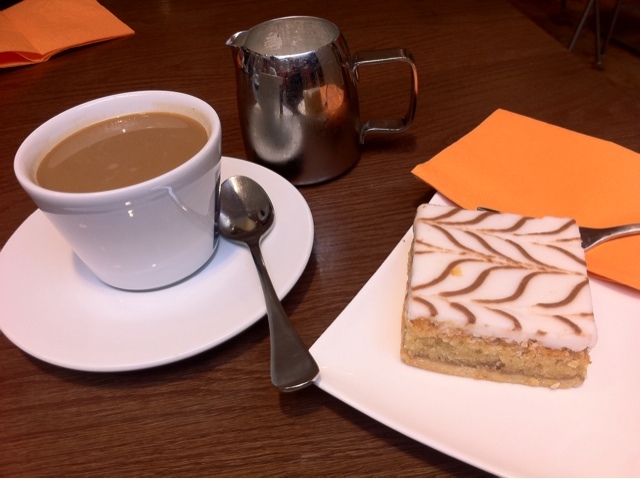 On this occasion, I decided upon a Bakewell Slice and Americano, both of which were very good and well priced. If you're on your way to the lights this month and want a coffee and a cake before hand, pay a visit to Lytham, you won't regret it!